This listing is for a pair of our BRAND NEW "Checkered Flag" designed pinball flipper bat topper MODs. These come in pairs. So a quantity of 1 gets you 2 MODs (a complete set). These are made from sturdy enhanced acrylic plastic pieces that have heavy duty 3M tape on the back for long lasting play and durability. These are EASY to install and will last longer than the flipper bats themselves. 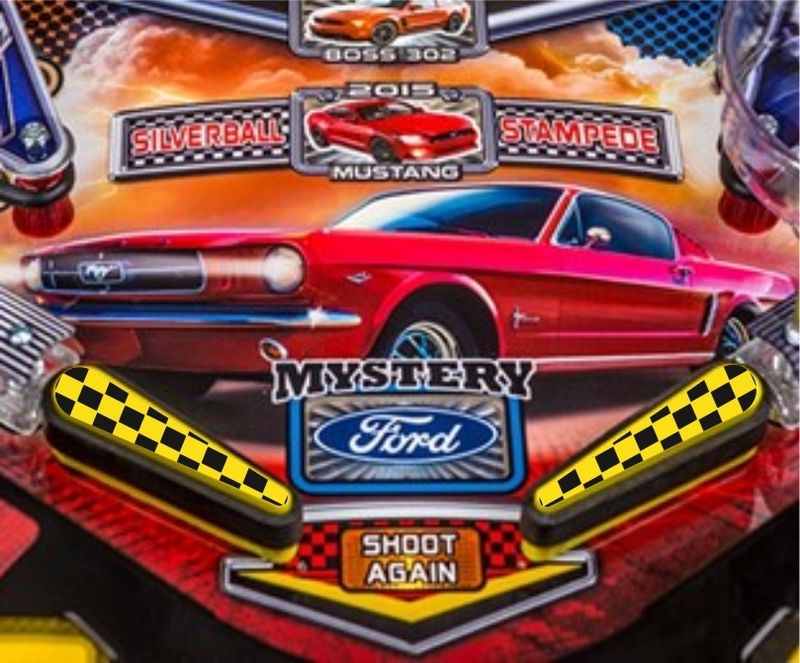 Stern's Mustang (all models) and any other racing designed pinball machine that uses 3" inch molded flipper bats. NOTE: Our "Checkered Flag" is a copyrighted image and we (ULEKstore) own the rights to use it. However, the flipper bat MOD is strictly an aftermarket MOD and by no means is affiliated with any of the above mentioned pinball machines and/or manufacturers.